One-piece, all plastic expansion rivet. Designed to securely fasten a wide variety of materials in a range of applications. Inserts quickly from either side of assembly. 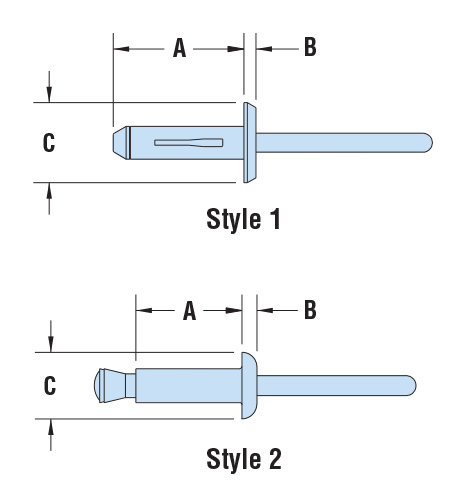 Use with standard rivet setting tool - pull the pin through the body and panels are drawn together. Pin breaks off even with head and leaves an attractive, finished appearance. Effective for soft materials such as rubber, padded fabrics, etc.